Olive oil, cheese, yogurt, whole grains, beans, wine, fruits, and vegetables—sounds good doesn't it? Hardly sounds like "dieting," but these Mediterranean diet staples may be components of a diet that can reduce risk for heart disease, some cancers, and add some years to your life. What's more, a Mediterranean diet is linked to a lower risk of Type 2 diabetes as well as better glycemic control in diabetics. This diet has plenty of heart-healthy monounsaturated fat, mostly from olive oil, as well as nuts and seeds. This type of fat has been found to reduce belly fat, promote weight loss, and reduce cholesterol. In addition, the diet has a good amount of heart-healthy, anti-inflammatory, triglyceride-lowering, omega-3 fatty acids from seafood and walnuts. Fruits, vegetables, legumes and whole grains provide fiber and antioxidants. Combined, these components together make for a powerhouse diet. According to research from the University of Arizona, the Mediterranean diet can help lower your risk of diabetes, heart disease, and metabolic syndrome, while providing better control of your insulin, blood glucose, and blood pressure. The Mediterranean diet is based on the lifestyle and traditional way of eating in some countries that surround the Mediterranean Sea. As overall populations, people in these countries tend to have a lower incidence of heart disease and decreased mortality. A survey in the 1960s took a closer look at the diet of people who lived on the Greek island of Crete because their death rate was seven times lower than that of American men. However, it wasn't widely popularized until the 1990s when Walter Willett of Harvard University's School of Public Health shed more light on the subject with the book Eat, Drink, and Be Healthy, which advocates this lifestyle. Many other modern diet plans are based in varying degrees on the Mediterranean diet. Researchers at the Harvard University School of Medicine, along with the World Health Organization and the nonprofit group Oldways Preservation and Exchange Trust, created a Mediterranean diet pyramid which has physical activity and enjoying meals with others at its base. Many current recommendations for a healthy diabetes diet and lifestyle have come about because of research into the Mediterranean diet. The American Diabetes Association issued recommendations in 2013, endorsing the use of a Mediterranean-style diet as an effective alternative to low-fat, high-carbohydrate diets used to maintain glycemic control. The Mediterranean diet also includes a moderate amount of wine: no more than 5 ounces per day for women (or men over 65), and no more than 10 ounces for men under 65. People with heart disease, liver disease, or alcoholism should abstain. 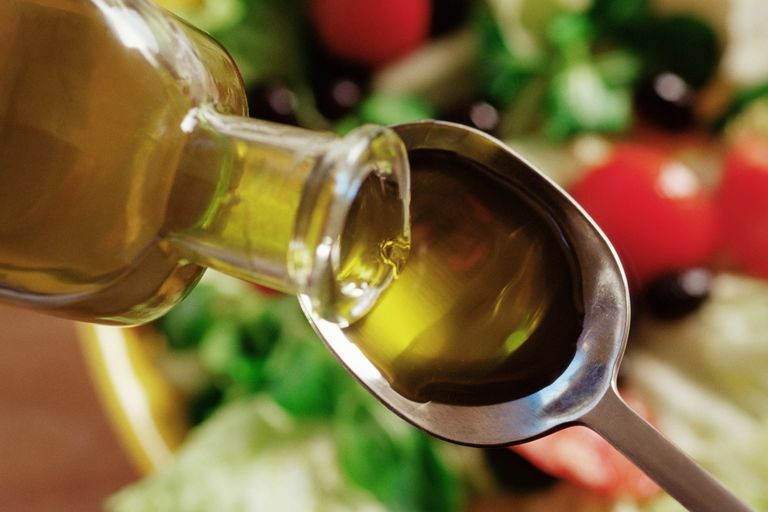 While not characteristically part of the diet, monounsaturated fats and polyunsaturated fats, such as canola oil and nut oils, are associated with decreased risk of heart attack and many help moderate blood pressure. Evert, A.; Boucher, J.; Cypress, M. et al. Nutrition Therapy Recommendations for the Management of Adults With Diabetes. Diabetes Care. 2013;36(11):3821-42. Romagnolo, D. and Selmin, O. Mediterranean Diet and Prevention of Chronic Disease. Nutr Today. 2017; 52(5):208-22. DOI: 10.1097/NT.0000000000000228. Is a Low-Carb Diet Better Than Bariatric Surgery for Diabetes? What Can a Lactose-Intolerant Diabetic Eat? Is the Ketogenic Diet Safe for People With Diabetes?